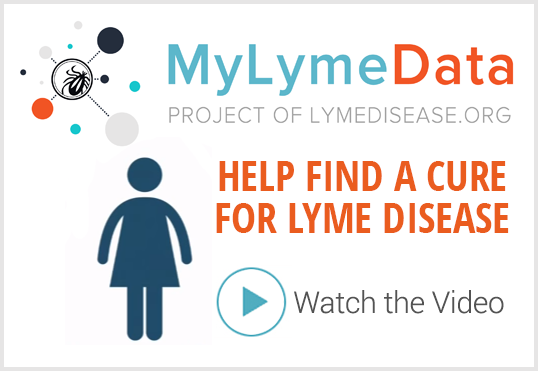 Two Canadian mothers with Lyme disease–nurse Sue Faber and attorney Jennifer Kravis–started a website called LymeHope. They also launched a campaign called Lyme Letters Canada, which has gathered more than 2200 letters from Lyme patients addressed to federal Health Minister Jane Philpott. They also started the Ticking Lyme Bomb petition on Change.org, which drew 38,000 signatures. Faber and Kravis are in Ottawa this week to hand deliver those messages to government officials. We have become accidental activists. That’s what happens when you get Lyme disease in Canada. Then you realize there’s NO help or recognition, and you start to really suffer, lose your job and realize you have to leave Canada and spend your retirement savings to get treated. Then you realize your kids have it too. Then you realize this is happening to thousands and thousands of others. Then you get confused, and experience disbelief, then you start feel sad, then you get MAD. Then you realize, you know so much, and it’s so wrong, and now you are hooked. You HAVE to do something because there are so many others who are so much sicker than you that CAN’T do anything. So those of us who can, MUST. Sue Faber recently was diagnosed with Lyme disease, and has 3 sick children with Lyme. 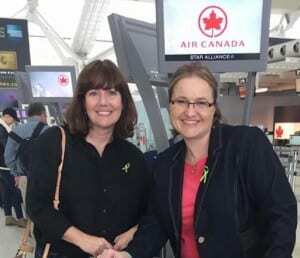 She put a call out for personal letters to federal Health Minister Jane Philpott from Canadians affected by Lyme disease via www.lymehope.ca. And she has over 2,200 letters addressed to Minister Philpott. Heartbreaking, gut wrenching, sickening letters. From men, women and children across this great Country, telling the SAME sad and unacceptable story. These letters haunt us. You can see the letters in the photo below. Sue made a promise to hand deliver these letters to Minister Philpott personally. And it’s now at almost 38,000 signatures, and 10,000 heartbreaking, shocking and disturbing comments from every Province and Yukon Territory. Directed to Minister Philpott. To date, despite our numerous attempts and requests to secure a meeting with Minister Philpott, she has NOT agreed to accept these letters or grant us a meeting. Minister Philpott is NOT responding to letters sent directly to her. She is forwarding letters to her to Public Health and they are responding with FORM letters on her behalf. We do not feel this is acceptable. It is not enough for us to simply drop these letters on her doorstep to go into the “black hole” and for these Canadians to receive form letters back from someone other than Minister Philpott, to whom these calls and pleas are specifically directed. Time is running out, the final Government Framework on Lyme Disease will be published in May 2017. Our advocates, who were promised a seat at the table, have been SHUT out of this process. So… Sue and I are GOING TO OTTAWA. We have no other choice. 40,000 Canadians have spoken out strongly. People are VERY concerned, as they should be. We are bringing Canadian’s voices to Parliament Hill, to Minister Philpott and ALL our MPs and Senators. We will sit on Parliament Hill for TWO days, Wednesday April 12 and Thursday April 13, when the House of Commons and Senate are sitting. And we will ask for Minister Philpott to agree to give us a face to face meeting where we can present to her 2,200 personal letters and 10,000 Petition Comments that are addressed to her. We have hope that Minister Philpott, who is a caring, kind and committed mother and politician, will do the right thing. We need justice, fair and equitable treatment, mercy and hope. We need our faith in Canada’s health system for Lyme sufferers restored. We have seen that Minister Philpott is passionate about the needs of the underserved and forgotten, and she herself was raised on the value of serving others. She has written that she chose the medical profession so that she could “come in contact with people to address real needs to make a real difference”. She stated that there “will always be opposition” and that leading the Ministry of Health would be a “daunting task”. We trust she has been put in this position for a time such as this. We will reach out to the media, and we will be sitting in our chairs, with our boxes of letters, with our Lime green umbrellas, on Parliament Hill. We welcome anyone and everyone to come out to Parliament Hill next Wednesday / Thursday (April 12/13) and support us. If you can’t be there in person, post messages and comments to help keep us motivated! 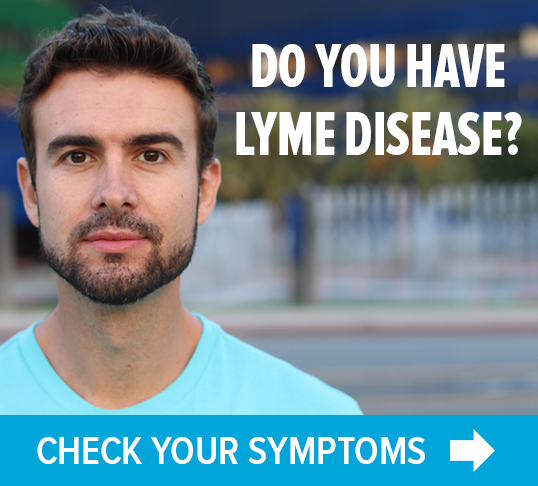 We both struggle with serious health effects from Lyme disease. We have sick children at home. We have busy lives and families to care for. This is not our idea of a good time, and this is not that comfortable for us, we have never done anything like this before. We are nervous, and feel a huge responsibility. We don’t know how this will go. We know we have the hearts and support of TENS of THOUSANDs of Canadians. BUT, this is important. Important enough that we are leaving our families, and flying to our capital city to DO something. Because this is ridiculous. And WRONG. Canadians are literally begging to be heard, writing pages and pages of the saddest stories of neglect, abuse, denial and mistreatment. Children are hurting, and are being shockingly mistreated and UNTREATED. And this is putting MORE and MORE Canadians at risk as the threat of Lyme disease and the expansion of ticks just grows and grows. Yes, since you’ve lost all treatment options in Canada, you all must rally to get your rights back for testing, treatment, awareness, protection. Doctors must get their right to treat. At this point, you have nothing to lose and everything to gain – it’s called massive organizing. Be in their face every step of the way now demanding your rights. Thx for doing what you’re doing. Thank you for your incredible strength & resolve to get the message of the devastation of lyme being fought by so many Canadians and the very necessary need to have testing, treatment and research done in our country. This growing epidemic is not going away and it is far overdue that concrete actions and funding be put into place to assist suffering Canadians.Keep the faith, you are making a difference in providing hope that our paid politicians will actually act on funding & executing plans to test and treat lyme in Canada. I am amazed by what you are doing and ashamed that I haven’t done anything. I have been suffering so long with lymes and I just kept trying to live with it, hoping something would change, treatment would come. I never knew how to help. It has destroyed so much of my life and I’m so much more aware now and willing to help in any way possible. I want my life back and for my kids to never go through what I have gone through.